Live at the Fillmore East, the latest in a never-ending series of reissued Jimi Hendrix material, is essentially an elaborate repackaging of Band of Gypsys, the final album released prior to the inventive guitarist's death in September 1970. To settle a lawsuit from an old contract still in force, Hendrix had to come up with a new album -- and fast -- so he enlisted army buddy bassist Billy Cox and former Wilson Pickett/ Electric Flag drummer Buddy Miles. The trio, dubbed Band of Gypsys, played four Fillmore gigs plus another at Madison Square Garden before Miles departed and incumbent Experience drummer Mitch Mitchell returned. The resulting album, issued in April 1970, consisted of six selections from those shows. In 1986 Capitol released Band of Gypsys 2, which offered another six tunes from the same sessions. But when it was discovered that only two tracks came from the Fillmore shows, the album was quickly pulled from the shelves. Fast-forward a few years: After a series of legal battles, Hendrix's family assumed the rights to his recordings. Though a bunch of reissues were already under way, Janie Hendrix, Jimi's half sister, took command and reissued the records with some new material. Unfortunately instead of expanding the original Band of Gypsys (like the Who did with Live at Leeds, for example), the producers reconfigured and resequenced enough of the original material to fill two discs. The result, Live at the Fillmore East, is fine, though it ain't exactly Band of Gypsys. But the music is still transcendent, and the sound -- remixed and remastered -- is more vibrant and warmer than in earlier incarnations. 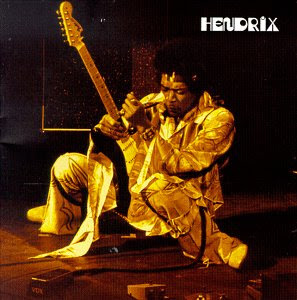 On the series of jams, oldies, and unfinished songs, Hendrix is at the height of his powers. Billy Cox is a far better bass player than the Experience's Noel Redding, a guitarist who learned bass only after he became Experienced. Buddy Miles was the odd man out. It's puzzling that Hendrix selected him as a percussionist in the first place; the man simply didn't swing and barely keeps up with the rock-solid and mellifluous Cox. But the material maintains its power and transcends Miles' limitations. "Stone Free" is pretty hot, as are the two takes of "Machine Gun" and "new" live versions of "Stepping Stone," "Izabella," and "Earth Blues," all of which were posthumously issued in studio form. "Power to Love" is retitled "Power of Soul" here, "Message to Love" from the original collection is absent, and the take of "Who Knows" differs from the one on Band of Gypsys. Live at the Fillmore East could ultimately have been pared down to one great disc, but for fans it's a good collection, with solid annotation and wonderful sound. And it's a potent reminder that there will never be another Jimi Hendrix.